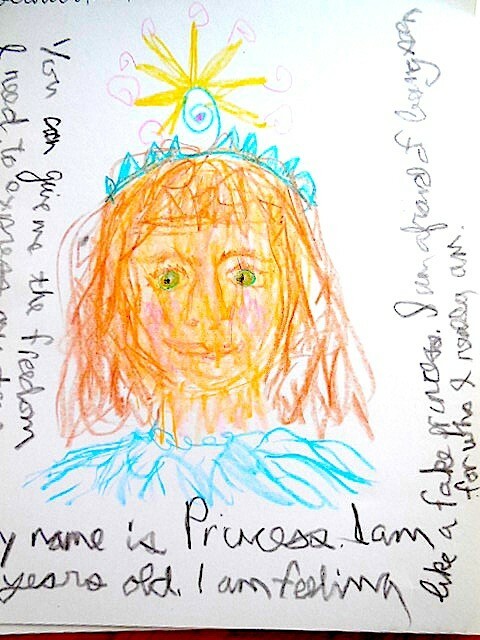 Inner child drawings are a profound way to access aspects of your psyche that you may not normally pay attention to. 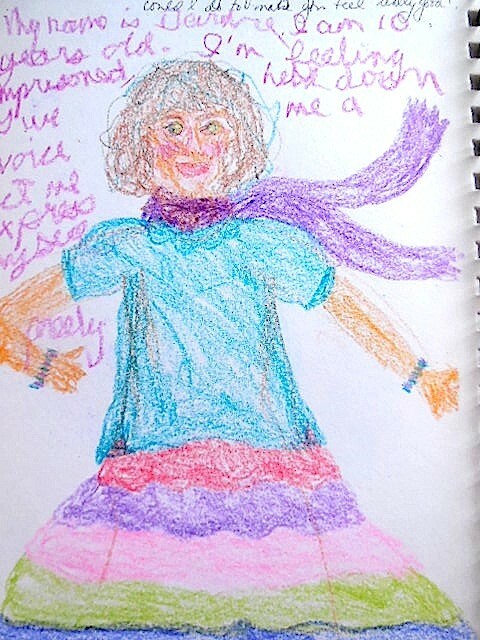 Inner child drawings are typically done with your non-dominant hand. 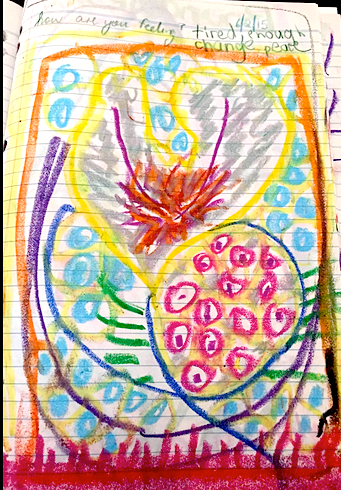 Buy yourself a box of kid's crayons to support your inner child's creative process. 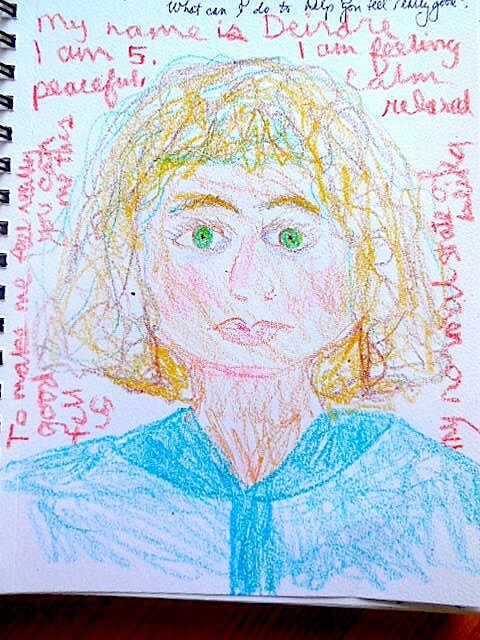 Artist Heather Williams, author of Drawing as a Sacred Activity has an excellent exercise to help access your inner child that I will share with you here. I invite you to try this process for 30 days. 1. Relax and breathe with your paper and crayons in front of you. 2. Close your eyes; see or feel a child near you. Notice the colour of her/his hair, notice the height, posture, clothing. 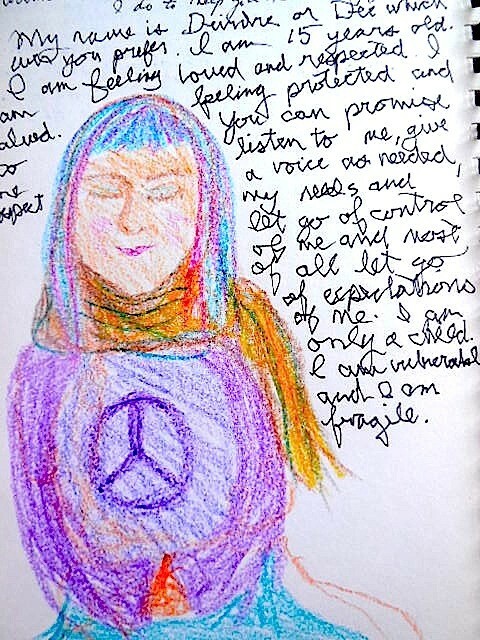 Open your heart and feel yourself accepting this child exactly as s/he is, even if the chid is angry, sad or frightened. 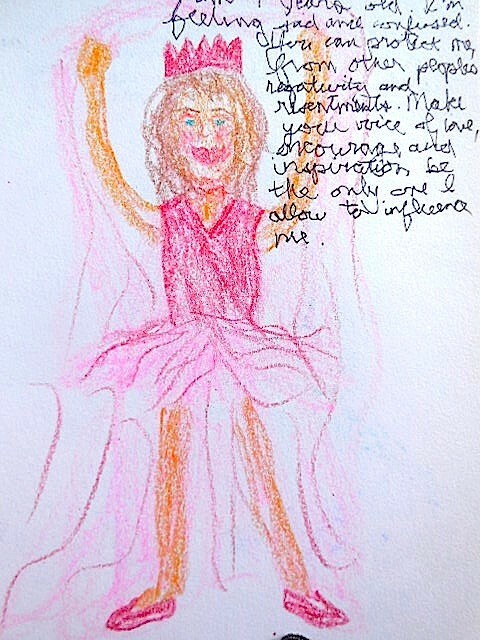 Draw a picture of your inner child with your non-dominant hand. 3. Ask the child to play a game with you. The adult in you will ask the child these questions: What is your name? How old are you? What are you feeling right now? What can I do to help you feel really good? Write the questions on the top or bottom of your drawing in your dominant hand. 4. Let the child draw a picture of itself for you and answer the questions using fun kid art materials such as crayons or felt markers. Draw and answer the questions with your non-dominant hand. 5. Thank the child for sharing with you. 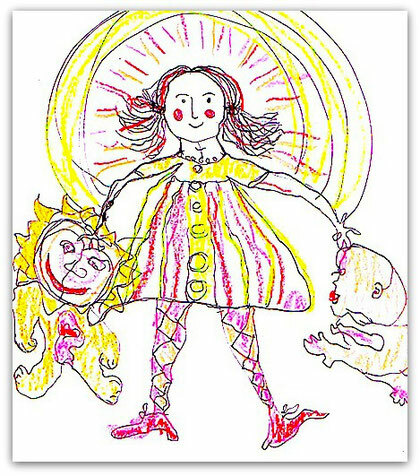 Be aware that as you draw for 30 days in a row, many inner children may want to come up for your witnessing attention. Some inner children will be happy, some will be sad, some will be angry. Some may have even have been buried, or are just barely alive for lack of attention. All will need to be kindly allowed to have their full expression no matter how immature they may seem. Be prepared for fear and buried feelings to come up during this process. Also expect a great sense of inner excitement and enjoyment. The younger, exiled parts of our personality long to speak, and will gladly share their truth through your non-dominant hand. Treat your inner child as through you as would a real child. Be kind, gentle, nurturing and interested. In essence your dominant hand parents and nurtures the "younger voices" of your non-dominant hand. 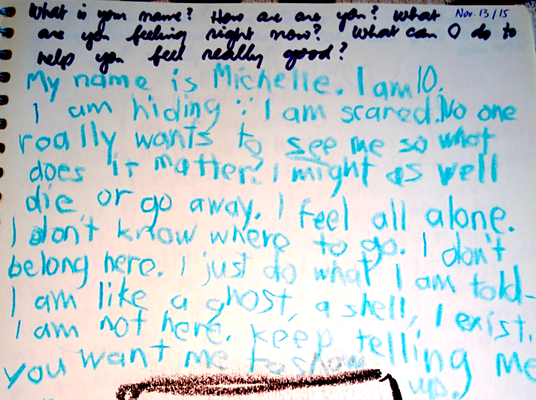 Inspired by Michele Cassou, author of Kid's Play - adapted to inner child art. 1. Always approach creativity as a process oriented activity. 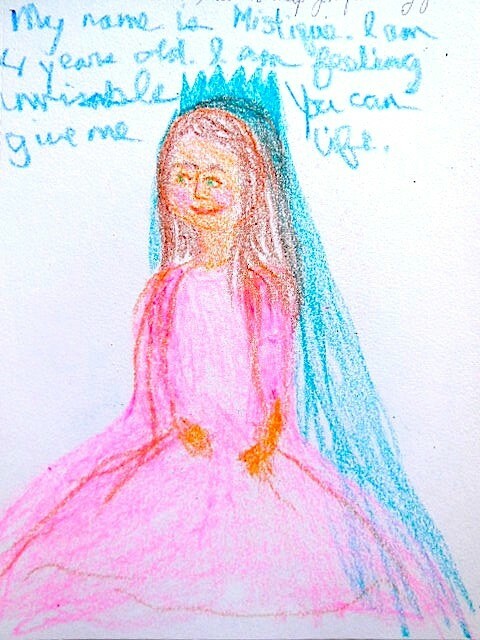 Do not expect your inner child to draw perfectly. 2. Never ask your inner child/children to paint or draw realistically. 3. 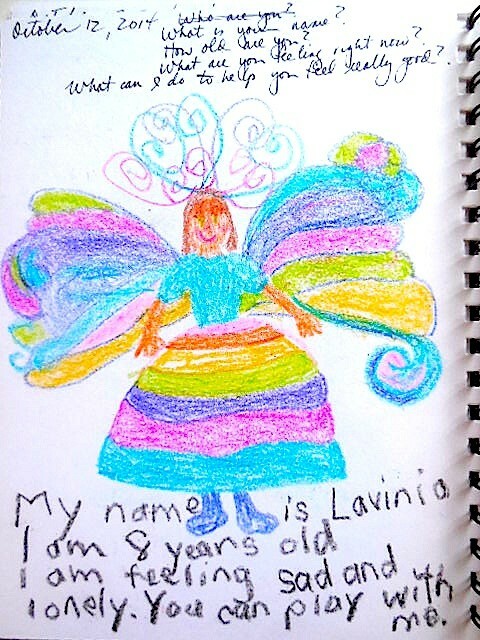 Never tell your your inner child/children what to draw or paint or give them something to copy. 4. Never correct your inner children's drawings or ask them to fix them. 5. 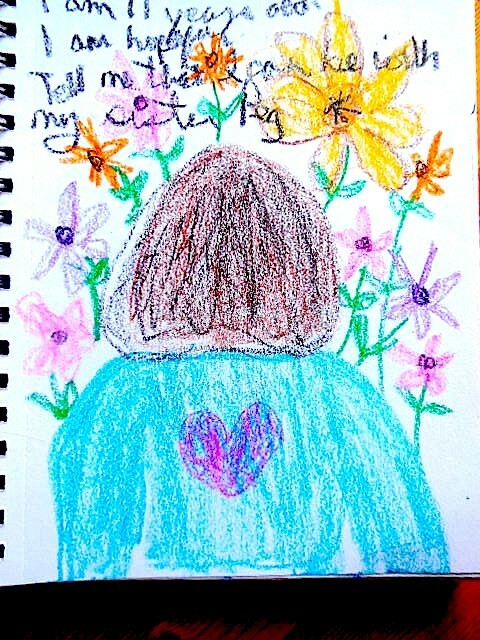 Never criticize or praise your inner child/children's drawings. Simply observe them with acceptance. 6. 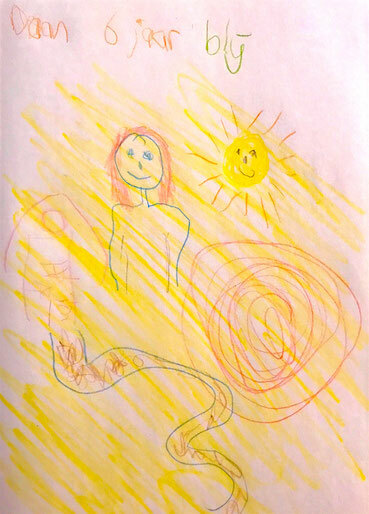 Never ask your inner child/children what their drawings represent, or why they painted drew them. Create a safe environment for the unfettered and non-intrusive expression of feelings through imagery. 7. Show care, respect and interest for everything your inner child/children create. 8. Observe your inner child/children's process with understanding. They must feel seen. 9. Never compare inner child/children's work. Never encourage competition. 10. 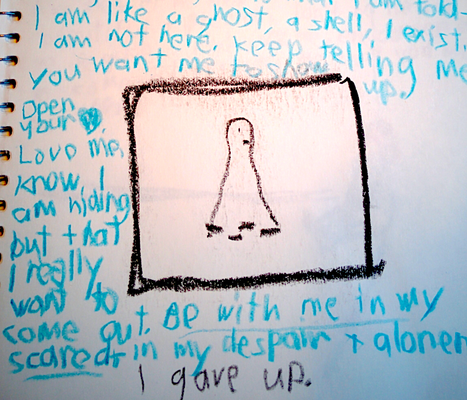 When inner child/children ask for help to draw or paint, don't show them "how to". Help them realize they can create anything they want. 11. Appreciate inner child/children for who they are and how they feel, not what they do. Most of us had our spontaneous creativity trained out of us at an early age when we felt pressured to please others by striving for a "talented" end-product in school. This documentary film by intuitive painting teacher, Michele Cassou, is well worth taking the time to watch if you are having trouble accessing your spontaneous creativity. 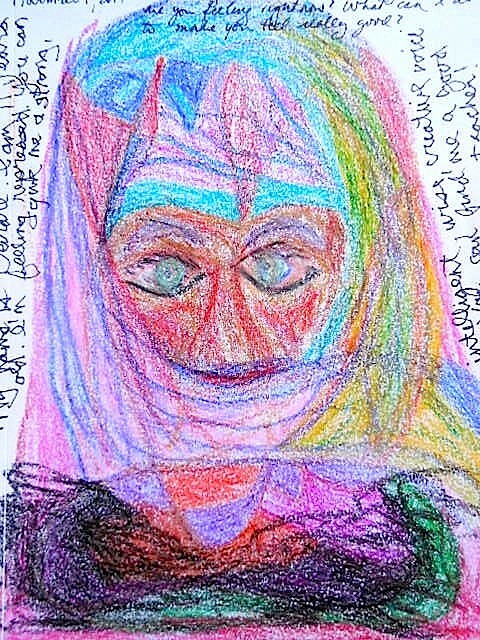 I also invite you to recollect and reflect upon when you halted your authentic creative expression in order to fit in. Be compassionate if your authentic self-expression feels awkward and childlike at first. I have done your amazing inner child challenge. It was really amazing with ups and downs. I send you a picture from my last day. If you can see I am Dutch, so my inner child is speaking Dutch and blij is happy. "It was challenging at times to persevere and surprising at times as I allowed myself to allow whatever came up, to be there, and not judge, poo poo, rationalize it away. 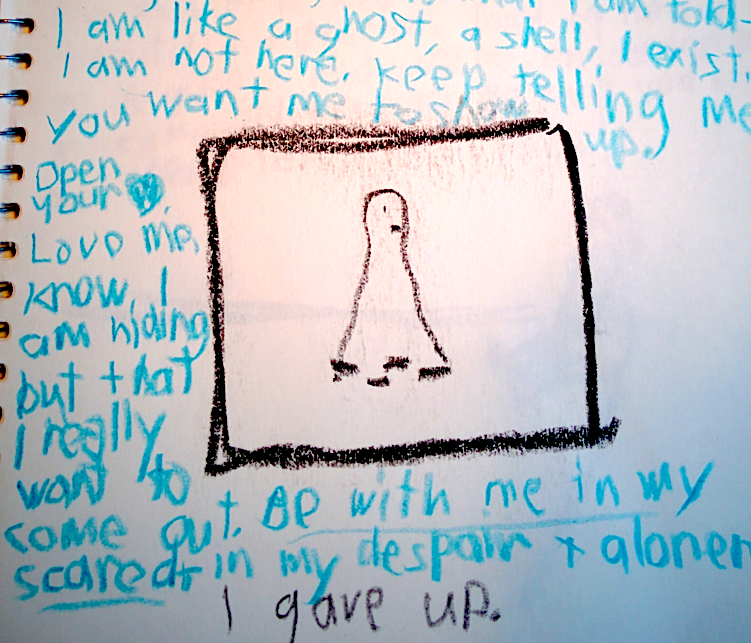 I recognized certain themes -my being invisible, feeling alone, hiding, being afraid. It was a very rich experience for me, very emotional. 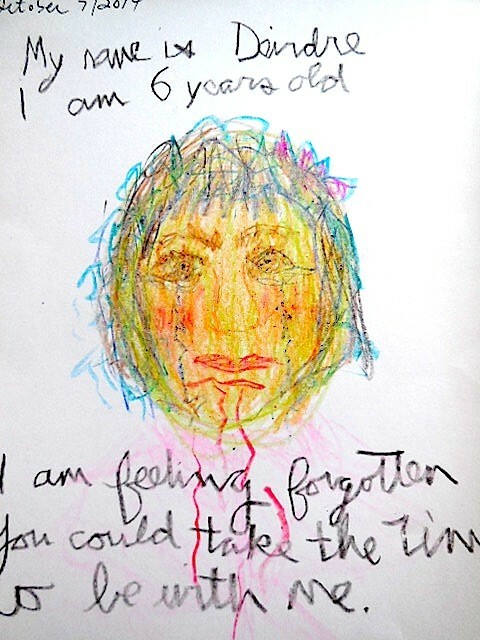 Often I found myself telling my inner child how sorry I was she suffered so much and we cried together. 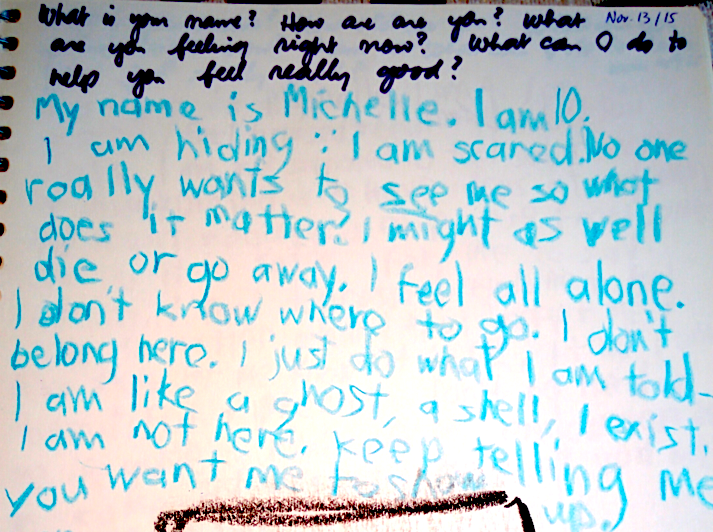 The questions became a mantra of sorts and will continue to resound in me. About a week ago, I felt like I could see light at the end of the tunnel, and I felt my old spark, humour, joie de vivre begin to come back! It feels so good. I attribute this to the work I did during the 30 days, Shelley. How amazing! I know my work is not over, but I feel hopeful that I will emerge to a new place with new energy and love for myself and all." 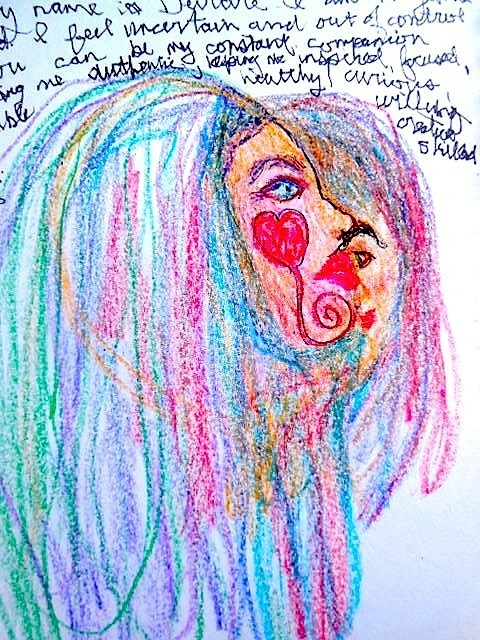 ~ M. L.
"I loved the 30 day self directed expressive art challenge. I dedicated the past month to my inner child. She has been able to play, vent, get angry, joy, love and express all that she is. Every aspect which in the past I've kept hidden. Thank you for the inspiration, it had been an interesting journey, and I've felt much freer just being able to express more." - J. Signoriello from Australia.